1957 Willys Pickup Takes Home 1st Place at Port Coquitlam Car Show ! Our very own, fully restored 1957 Willys Pickup truck took home first place in the 'Best Stock Truck' category at the Downtown Coquitlam car show! Shane Peachman, a retired NorLand Limited employee for the shoring division, was the pilot for the event. 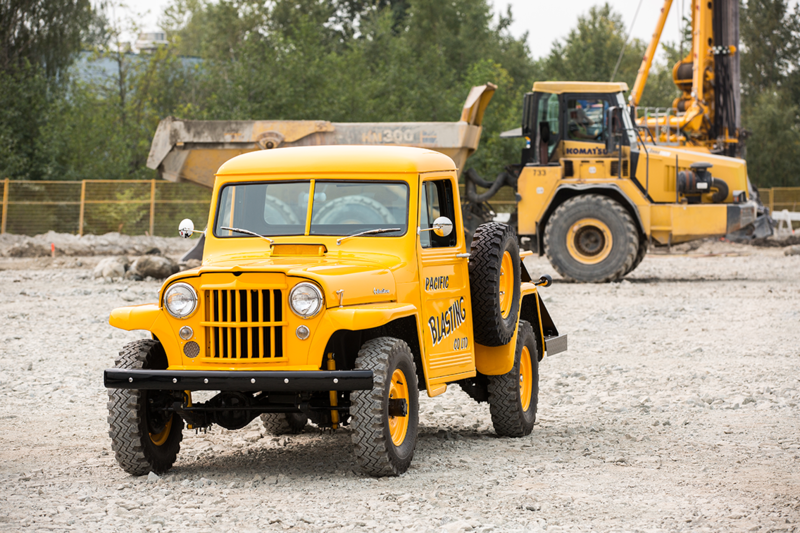 The company truck was restored for the 50th anniversary of Pacific Blasting back in 2008. The '57 Willys has won some smaller categories at this event in the past; however, this is the best finish at the event that showcases over 250 cars and trucks every year.